A few weeks ago, the Huffington Post printed an article about a man who was able to track down his daughter through social media, after nine years of searching. The young girl, was raised by her maternal grand-mother. After the parents divorced, the grand-mother kept the young girl away from her father for almost a decade. She now refuses to let father and daughter reunite. The elderly lady has brainwashed her grand-daughter to the point that the girl wants nothing to do with her father. Convinced by her grand-mother that her father is a bad person, she dislikes him and is afraid of meeting him. The stories and testimonies of parental alienation have become quite common nowadays, reflecting a rapidly growing trend. Parental alienation as a familial and social problem has taken alarming proportion and needs to be taken very seriously. On a psychological level, it has been recognized as a form of child abuse that tends to become permanent if it is not addressed early. Parental alienation syndrome goes further that a child siding with one parent after or during a divorce. According to Kathleen Coulborn Faller it refers to “the negatives behaviors the child attributes to the alienated parent (…) trivial, highly exaggerated or totally untrue”. One parent will alienate the other by tainting his or her good character and making random accusations. Another technic to brainwash the child is to deny any access to the child even when there exists court ordered visits, as well as restricting or eliminating phone calls. It is a total violation of child’s trust and rights. Parental alienation does not only affect the child. It also destroys the alienated parent’s life. The psychological impact is devastating and relentless because it usually takes place over a long period of time, usually years. 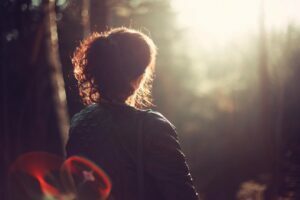 The alienated parent experiences traumatic ups and downs, going from intense feelings of hope and bitter disappointments. This is a worldwide problem, often worse in countries where joint custody does not even exist. In such countries, women are de facto guardians. 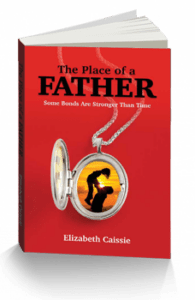 Even when ordered by a judge, they can refuse to surrender a child to the father without any serious consequences. Parents have already rallied to address and combat this systematic abuse. Many parental alienation groups have popped up on social media to spread the word and share helpful information for parents that feel defeated. Too often, family courts have failed to alleviate the problem. In many instances, the accusing parents have used the system to their advantage and taken the law into their own hands. There is a disconnect between the laws and society’s beliefs. That is why court ordered visitations are not always enforced. On a positive note, many states in the U.S. have adopted shared custody laws to remediate the problem and emphasize equal share of time and quality of parenting. Hopefully the issue of parental alienation will bring about updated laws and standards practices worldwide.